Every year the most beautiful women in the entire world come together in hopes of being crowned Miss Universe, which is pretty much like the top rank for any beauty contestant. 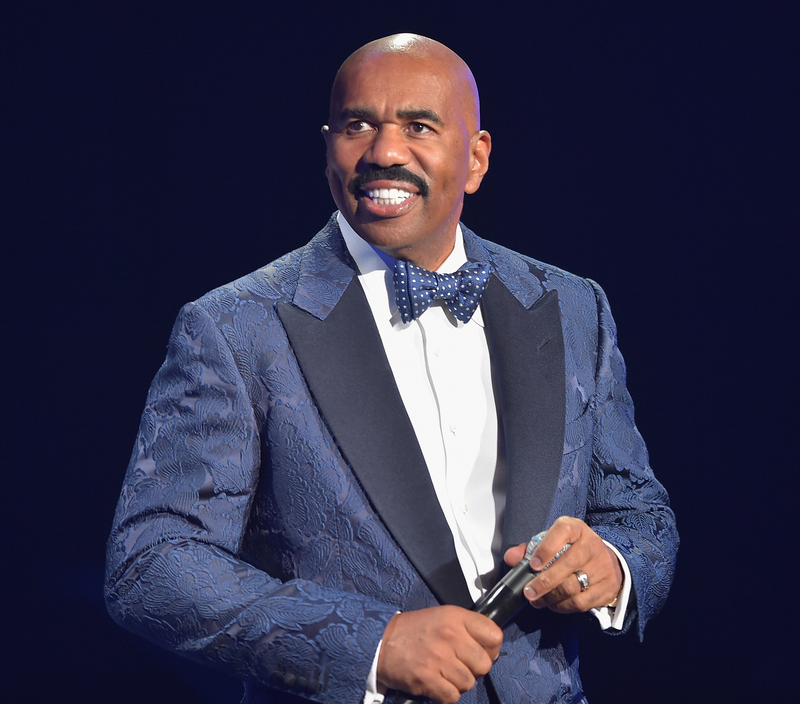 This year, the Miss Universe pageant is hosted by Steve Harvey. It seems kind of random to have Steve Harvey hosting the show though, right? But, you’d be surprised to learn that he’s actually pretty perfect for the job, and that's why he was chosen this year. Last year’s hosts Natalie Morales and Thomas Roberts were good, but leave it to Steve Harvey to insert a lot of humor this year when Miss Colombia, who was crowned Miss Universe in 2014, passes her crown on to one lucky girl in Las Vegas on Sunday. So why was he chosen for this when previous hosts were more serious? Beyond his exceptional skills, Harvey's got a long list of credits to back up their decision. First of all, he’s got his own show called the Steve Harvey Show where he’s the host, and this year the show won its second consecutive Daytime Emmy for Outstanding Talk Show/Informative. As I said earlier, he’s the host of Family Feud (and Celebrity Family Feud), which everyone knows is pretty much one of the most entertaining game shows to watch if you find yourself home in the middle of the day. Harvey’s list of hosting gigs also includes being a guest host on Who Wants to Be a Millionaire and BET Comedy Awards. The Miss Universe show is actually not known as being a place for comedy. According to Comedy Hype, Steve Harvey is the third comedian ever to host the 64-year-old contest. The only other two have been Johnny Carson in 1961 and Sinbad in 2000. Maybe this is a push from FOX to bring comedy into the mix. It is their first year running the show (because of all the Trump drama earlier this year), so it’s not a super huge surprise that that want to mix things up a bit. Plus, Steve Harvey is kind of awesome.